I have a cold. Pádraig’s carer who usually comes in on a Saturday has a cold (and couldn’t come today). So Pádraig and I took it slow and easy. And we managed. We now know that we cannot just go swimming and manage, we also manage the shower. Talk about a confidence boost. This afternoon, I went into town to see all the Black Friday bargains that had survived to the weekend. I came back empty handed and reassured that I am not missing much by not joining the shopping frenzy. 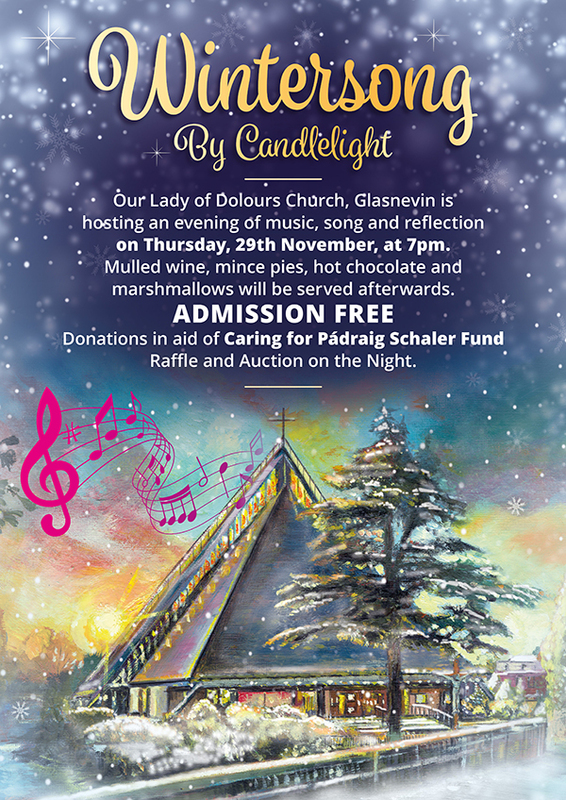 Please don’t forget the Wintersong by Candlelight event this coming Thursday.